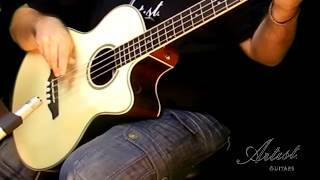 Great value acoustic bass. Its bigger jumbo body will give you plenty of low end. This is an exceptional sounding bass for the price.